The annexe is an ideal holiday base for two people looking to explore the beautiful Gower Peninsula. Centrally located in the hamlet of Lunnon this cosy former stable with character has a main room with seating area TV and fire separated from a fully equipped kitchen area by a small breakfast bar. There is a bedroom with ensuite toilet/shower room. Double bed with a built in wardrobe. Washer/dryer. Your hosts Colin and Patty live in the main house which is attached but entirely separate. Your annexe is private and completely self-contained with your own parking area with outside seating. Visitors love its charm and convenience as much as it's location close to the famous Three Cliffs Bay coastal and rural walks directly from your doorstep with many other beaches and attractions within a very short drive. A small general store, Artisan bakery and pub are all easily accessible. 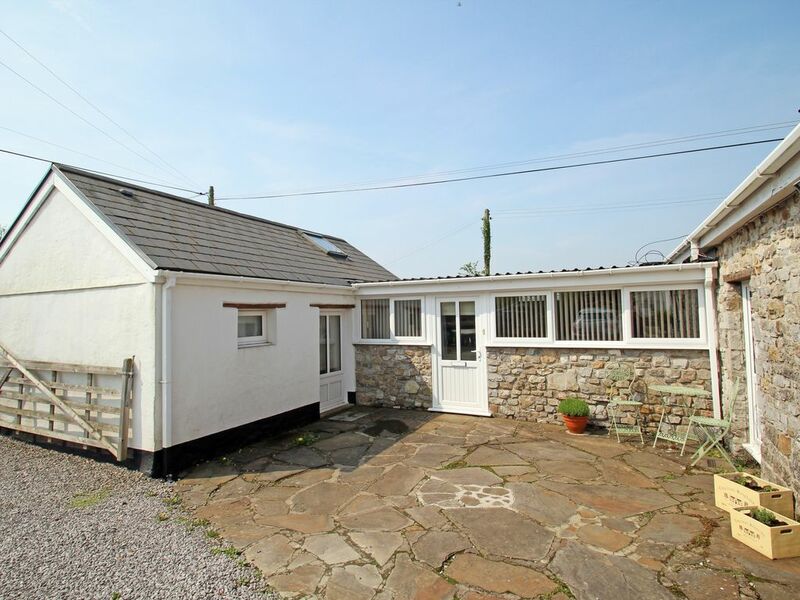 We bought this property in a derelict condition in 1989 as we fell in love with the perfect the central location in the heart of Gower in a small unspoiled village which remains quiet even in the high summer season. We have been working on the property constantly and just when you think it's finished we have another idea. We think you will also love the accommodation and location as much as we do. As to be expected, the Welsh weather was awful, however it was the end of January so we expected nothing less. The Annex, is a very well appointed and very convenient little place to stay. It is clean, warm and has all the little extras that made our weekend a very memorable one, it was Lyn’s birthday so we wanted something special and this did not disappoint. We took two of our small dogs 🐕� and they had the time of their lives, chasing each other around the dunes and the beach, generally wearing themselves out. All in all we loved it and without being intrusive Patty made us very welcome. We have no reservation in recommending this owners direct property to others and hope that they enjoy their stay as much as we did. Many thanks for your lovely review. We are glad you enjoyed the stay and look forward to seeing you again. Great located, lovely cosy annex! Very nice located - quiet area but good connection to Swansea and the coast. Have visit some castles nearby and have been to the Brecon Beacons Nationalpark. Everything you need in the accommodation, appreciated our dog was welcomed as well. Great place to stay home from home. Stayed for 3 nights the accommodation was comfortable clean and well equipt. A great location to explore the Mumbles. Patty and Colin were friendly and welcoming, we would recommend this place to anyone to have a lovely short break. Property felt like a mini self sufficient house, had everything you could possibly want and more!